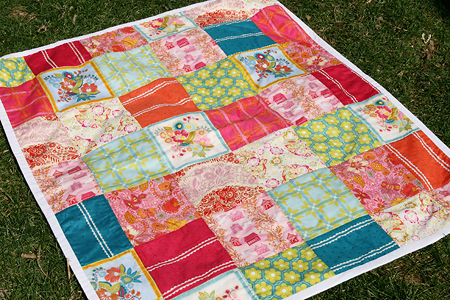 A couple of weeks ago, Quilt Home had a great sale on Anna Maria Horner's Little Folks. After receiving some to make the empire dress, I couldn't resist buying more. I thought it would be the perfect fabric for a baby blanket - and I happen to know a baby girl that will be born soon! 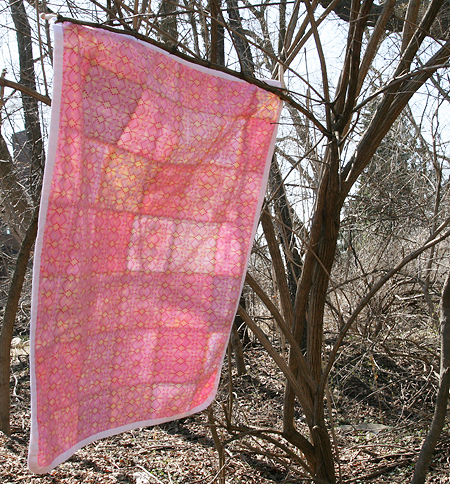 This blanket is inspired by this quilt I saw on Flickr recently. I loved how the window pane was incorporated. I meant to use more yellow on my quilt, but in my ordering frenzy I guess I forgot to buy some. Each square is 6.5". The back is Anna Maria Horner's Folksy Flannel. It is unbelievably soft. 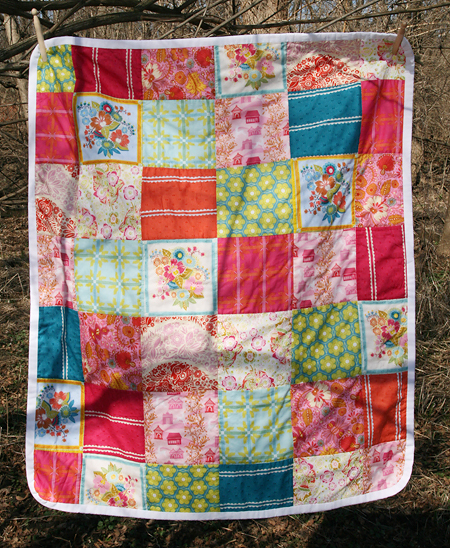 This blanket is so cozy, I am seriously considering making a big one for myself! I quilted straight lines in the ditch. I also did curved corners for the first time. They don't lay perfectly flat (is that normal?) But I think they look cute for a baby blanket. This quilt measures 34" x 40".